Eric Horton has been having disturbing nightmares of explosions and fire and someone screaming. The dreams keep him up at night, but during the day, as a goalkeeper on his high school’s varsity soccer team, he has been unbeatable, saving shot after shot with what feels like a supernatural awareness of where the ball is headed. He also shares an uncommonly strong connection with Renee, the attractive new French exchange student. The wild visions and synchronicities pale in comparison to the strange experiments Renee’s father is carrying out in the physics lab at the university, however. He has asked Eric to take part in the tests, which makes Eric question whether what he is seeing and hearing is reality or something far beyond it. 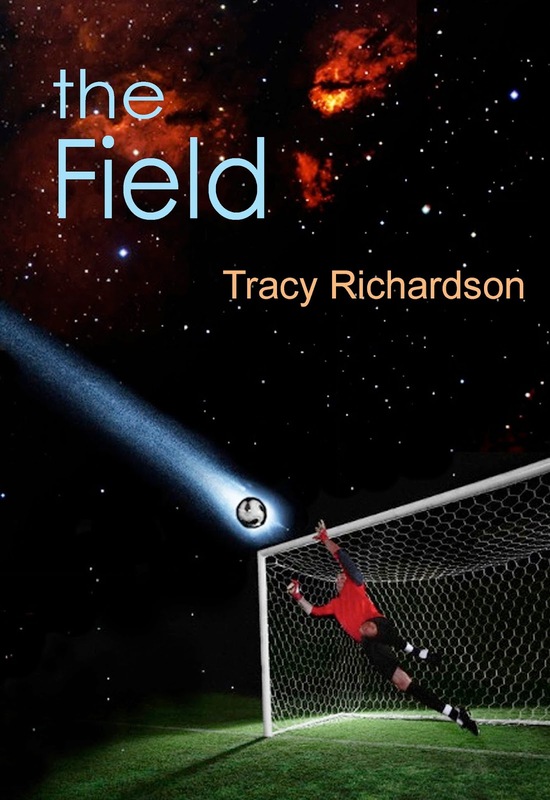 When his friend Will develops a drinking problem and Renee starts flirting with other guys, Eric loses his confidence on the soccer field and in himself. If he is going to pull it all together, he will have to tap into a part of himself that he never knew existed. The Field, although a bit slow in the beginning, completely caught my attention and was a wonderful read. The Field was more fringe science than science fiction, which was a fun change in genres. It also touched on issues of environmental science, friendship, divorce, sexual assault, and underage drinking. It even had sports thrown in! It read as if it was written for my friends and I when we were in high school. It touched on so many of the issues we faced and Eric seems like he would have fit in effortlessly with my group of friends. I really enjoyed that a book many are labeling "sci-fi" contained so much realism. Fans of the show "Fringe" will probably feel right at home in the pages of this novel. I highly recommend this great spring read! Tracy Richardson lives in Indiana with her family and their Jack Russell terrier, Ernie. When her children started reading, she rediscovered her childhood favorites and began developing stories of her own. Images from growing up on Lake Michigan feature prominently in her novels, and sometimes bits and pieces of actual people and events—with the names changed to protect the innocent! 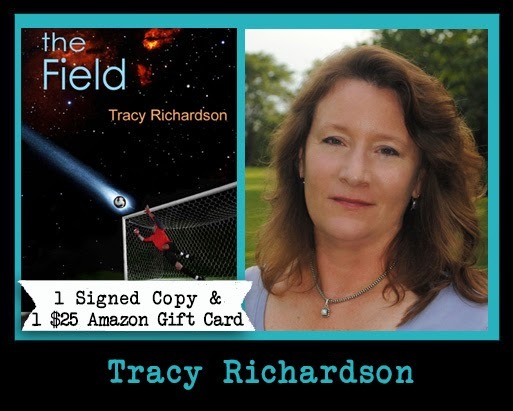 She is working on her second novel, THE FIELD, a teen/YA novel featuring one of the characters from INDIAN SUMMER.